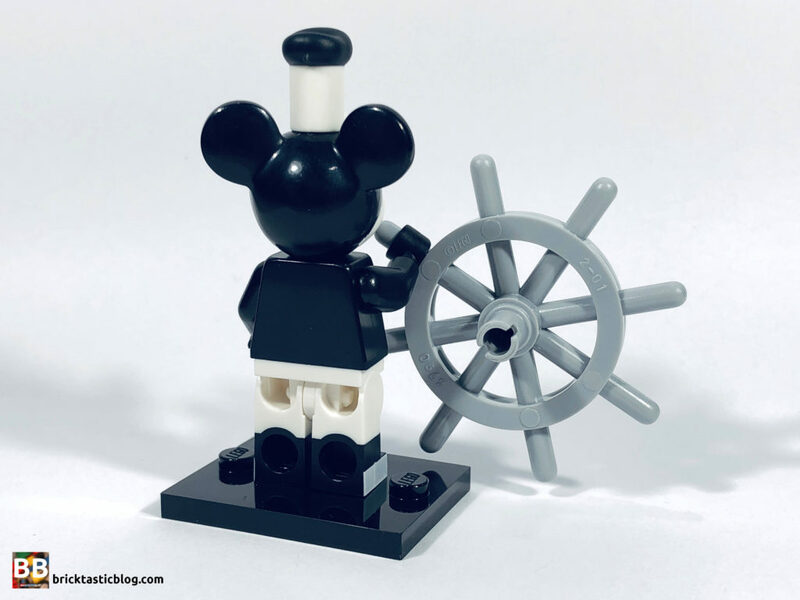 LEGO and Disney are well acquainted with each other. 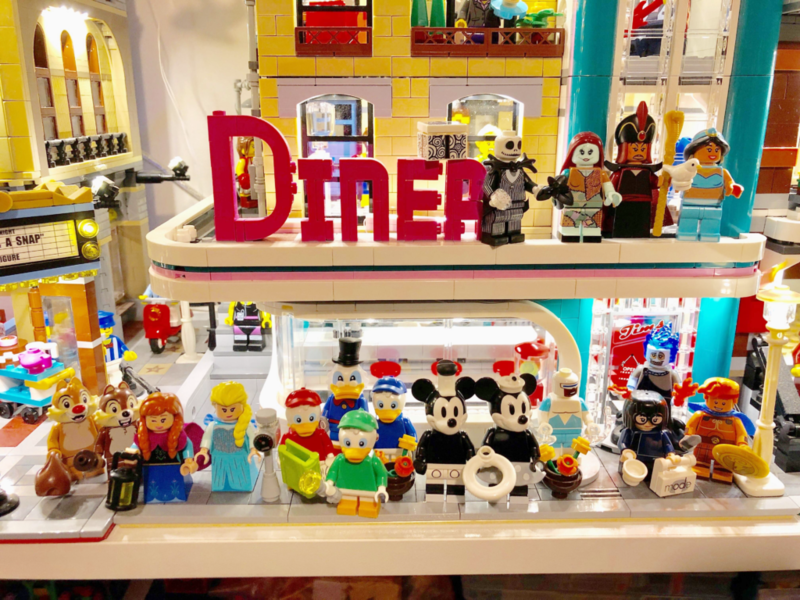 There’s a plethora of sets that have hit the shelves over the years, as well as (obviously) the first series of Disney CMFs, which drew some keen LEGO and Disney fans to hit up their local toy stores. 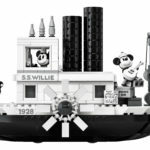 While these were immensely popular, there have been some obvious omissions, (and there still are), however LEGO and Disney have decided to have another go at it, and release Series 2! We’ve got another 18 characters available, and they range from the classic Mickey and Minnie, to more recent films like Frozen. This series is sure to garner fans of all ages. 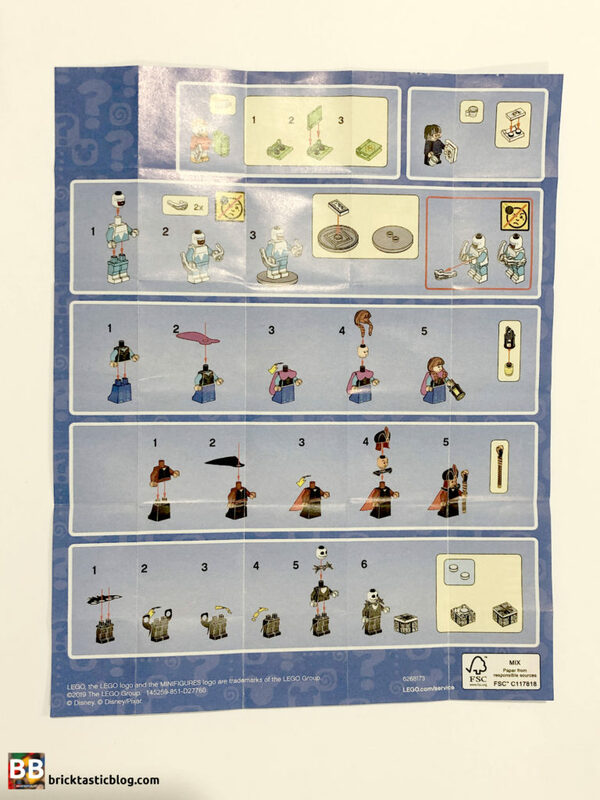 LEGO’s Community Engagement team kindly sent me a full box to review, and it arrived at my door over the weekend. It’s been opened and distribution numbers have been checked, as well as a giveaway published to the site! 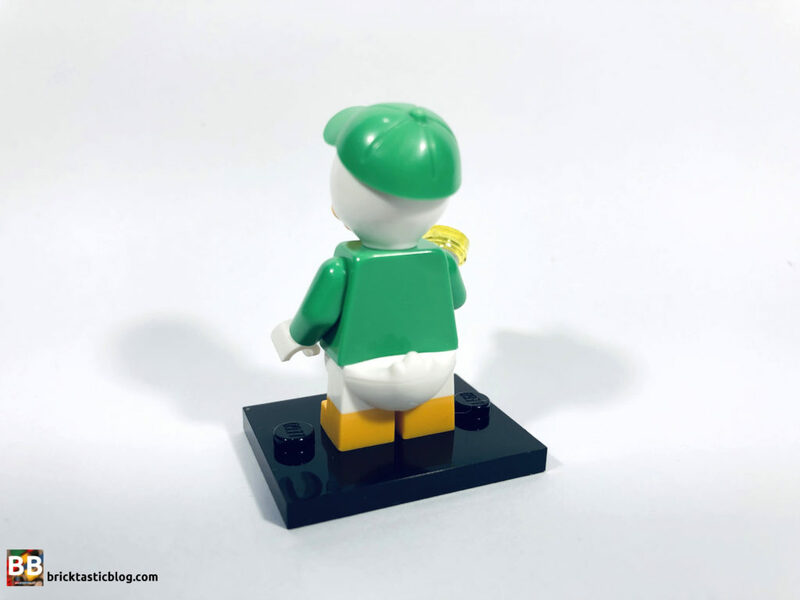 I’ll be giving away a full set of 18 minifigures in a couple of weeks. If you want to get your name in the running, take a look at the blog post about the giveaway. Each bag a little flyer showcasing the full series on one side, as well as some basic instructions for those minifigures that need it (having collars, tails or capes). Interestingly, these pieces of paper are much thinner than previously seen, and have been taped closed in each bag. 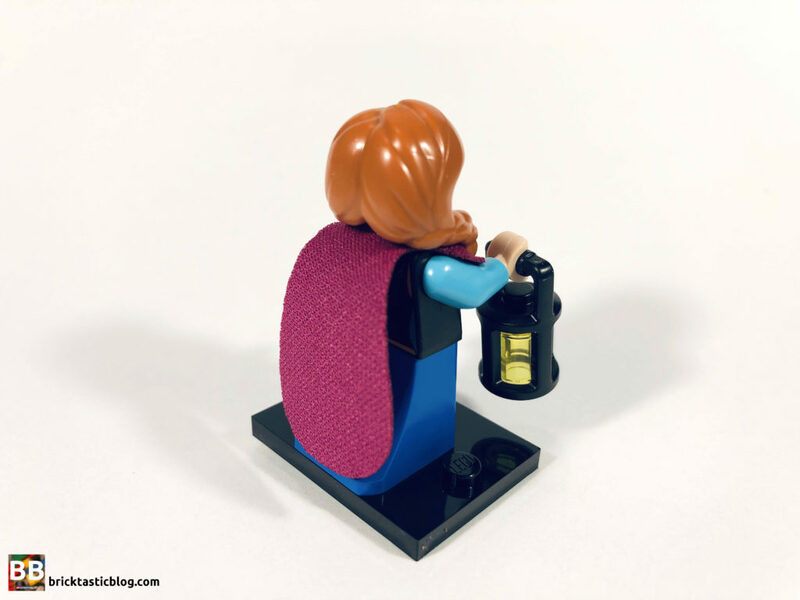 Minifigures that have capes have also been double bagged, with the cape sitting outside the internal clear bag. 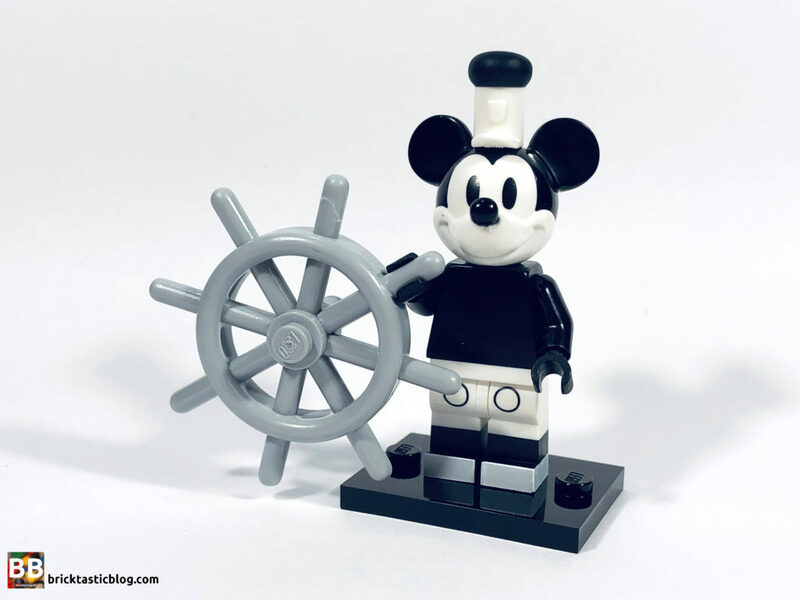 Oddly enough, this version of Vintage Mickey is not too different from the version to be seen in 21317 Steamboat Willie. The differences are in the pearl silver additions. 21317’s Mickey has them, this one does not. Why Mickey wasn’t re-done as Fantasia style, I don’t know. Two nearly identical versions of two characters seems a little odd. 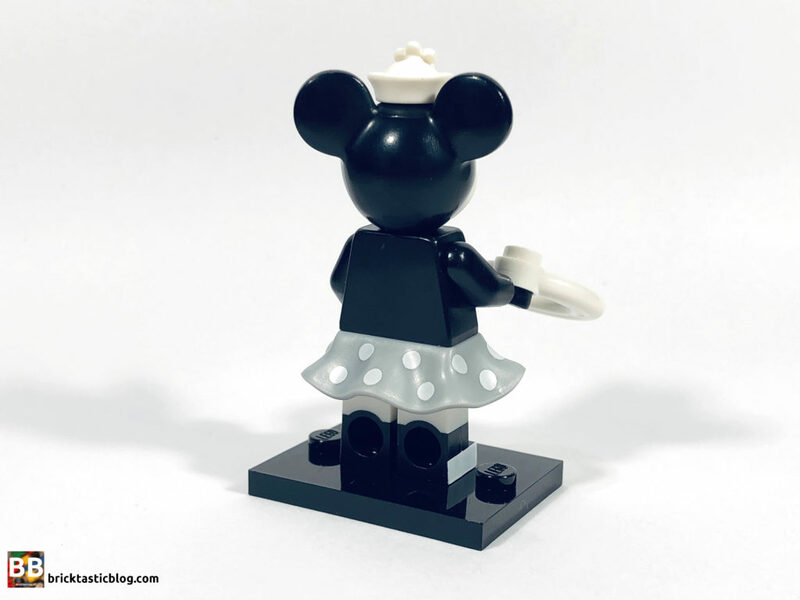 Mickey’s monochrome colouring looks striking, and his brand new little hat is a great inclusion. He’s also got a completely black torso and dual moulded legs printed with buttons, and carries a light bluish grey ship’s wheel. There’s four Mickeys in a box. 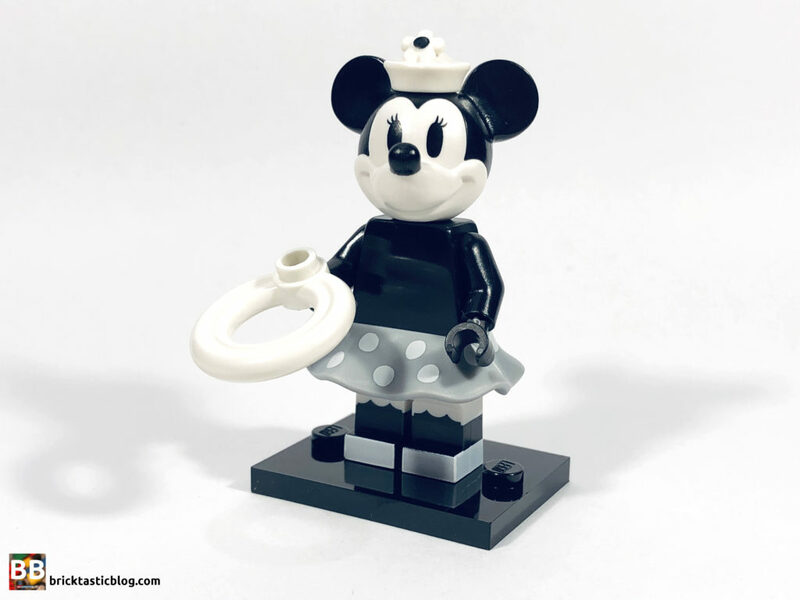 Just like Mickey, this version of Minnie is almost identical to the Minnie from 21317, but without the pearl skirt. Minnie also has a new hat (just like Mickey, these will appear in 21317), and it’s also connected by a pin hole in the top of the head. The flower hat itself is beautiful, and like Mickey’s hat, I’m looking forward to seeing where else it pops up. I’m also really glad there are more minifigure skirts popping up in different patterns. Minnie has a white life saver in her hands, and has some eyelashes printed on her face. You’ll find four Minnies in a box. 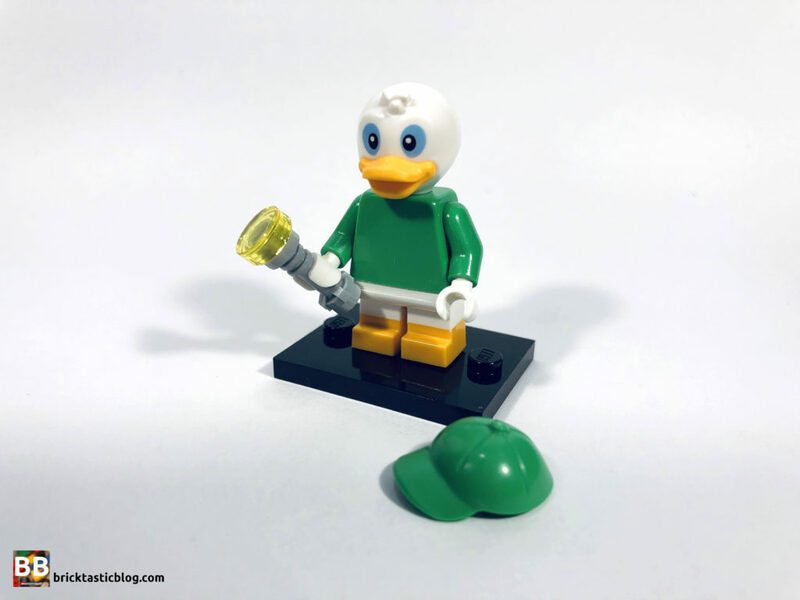 On to the uncle of Huey, Dewey and Louie! 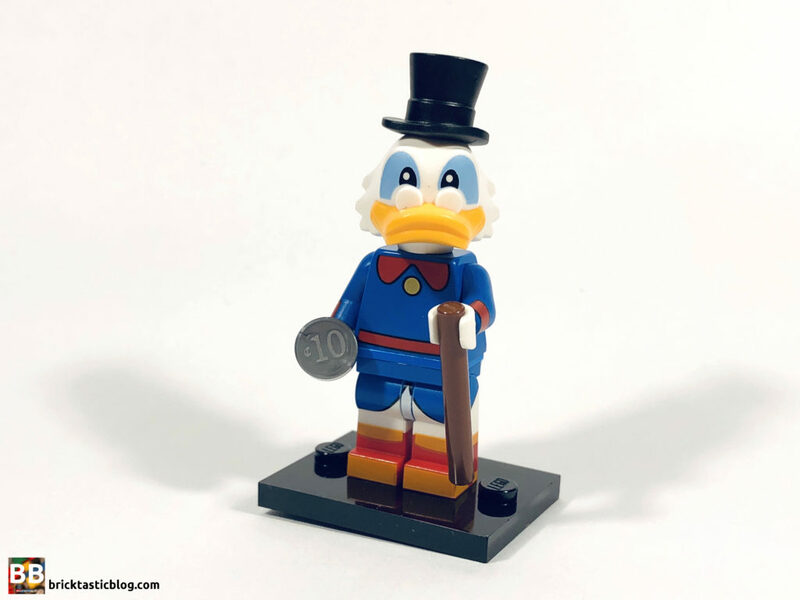 Scrooge, the billionaire duck made famous in DuckTales, and first created in 1947 looks resplendent in his blue suit with red collar, belt and cuffs and brilliant top hat. 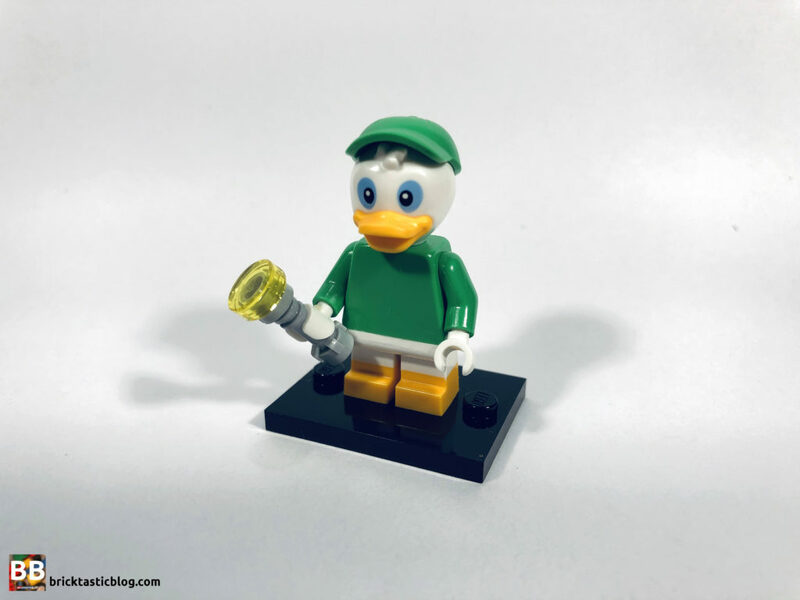 Scrooge has a new head element complete with moulded glasses, as well as the top hat being connected in the same way as Mickey and Minnie. 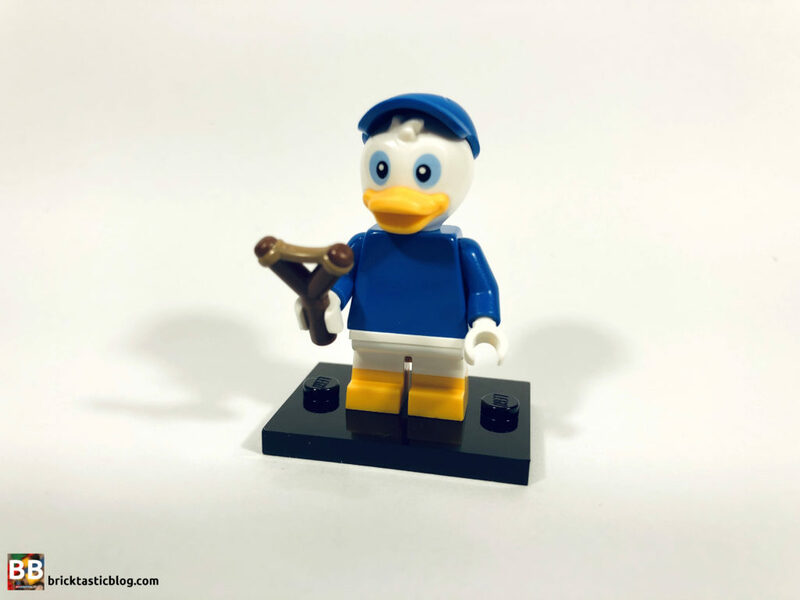 Scrooge completes his look with a tail (also used with Donald and Daisy), and it has some blue printing at the front to match the suit. His legs are dual moulded and both them and the torso have some stunning printing, including spats, otherwise known as spatterdashes! (Isn’t that the best word ever?) Spats are the foot coverings he’s wearing. He’s got a 3L bar (to represent a cane), and a printed 1×1 round tile, as a coin. There’s four Scrooges. Huey, in red, looks pretty standard. He’s got dual moulded legs, a white tail that attaches at the hips, a red torso with white hands, and a new moulded head. All three have a moulded and matching cap that attaches with a pin. Huey carries a Junior Woodchucks handbook, and a 1×2 tile, printed with what seems like a page from the book. It’s always great getting another book for the shelves! There’s only two Hueys in a box, so we’ve got some chase figures on our hands. Dewey is in blue, and looks identical to his brothers, although he’s got a slingshot! 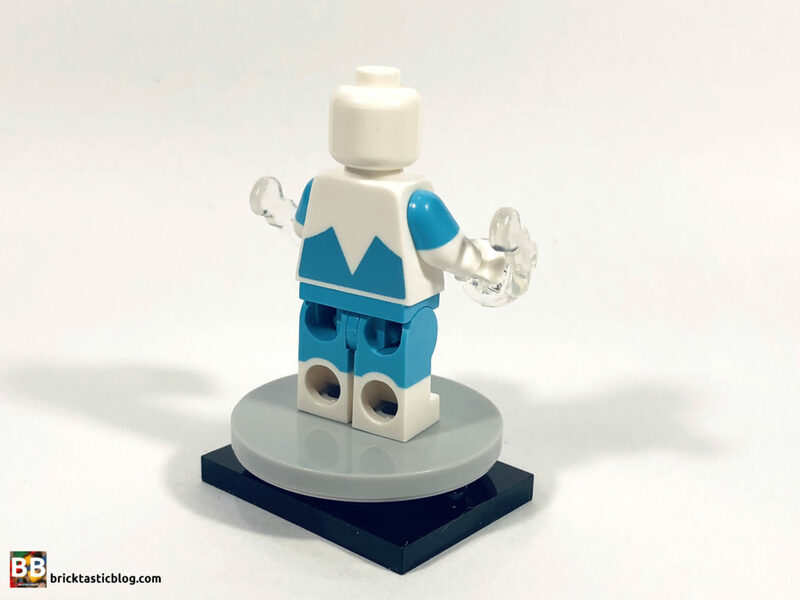 This might look like a new element, but it’s not, having been seen before in two Bart Simpson variants – 71009 Bart from The Simpsons CMFs Series 2, and 71211 Bart from Dimensions. You’ll also score a spare slingshot, which is a great bonus! Louie is (you guessed it) the same, except in green. There’s no amazing accessories for Louie, only a torch. They’re elements seen all the time, so it’s a real shame. Like Huey and Dewey, there’s only two Louies in a box, which seems like such a waste, especially for relatively common parts. 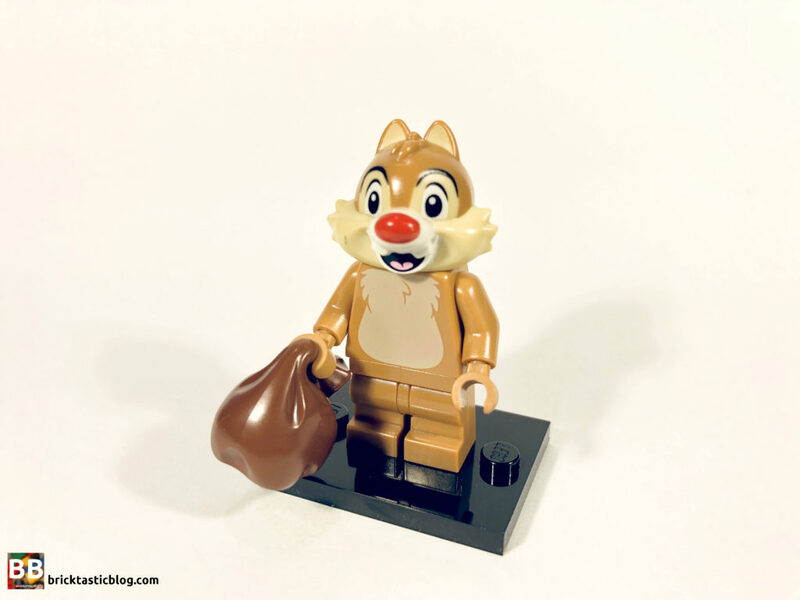 It’s excellent to see Chip ‘n’ Dale represented in minifigure form! Chip is dark reddish brown, and has his two front buck teeth and the namesake chocolate ‘chip’ nose! 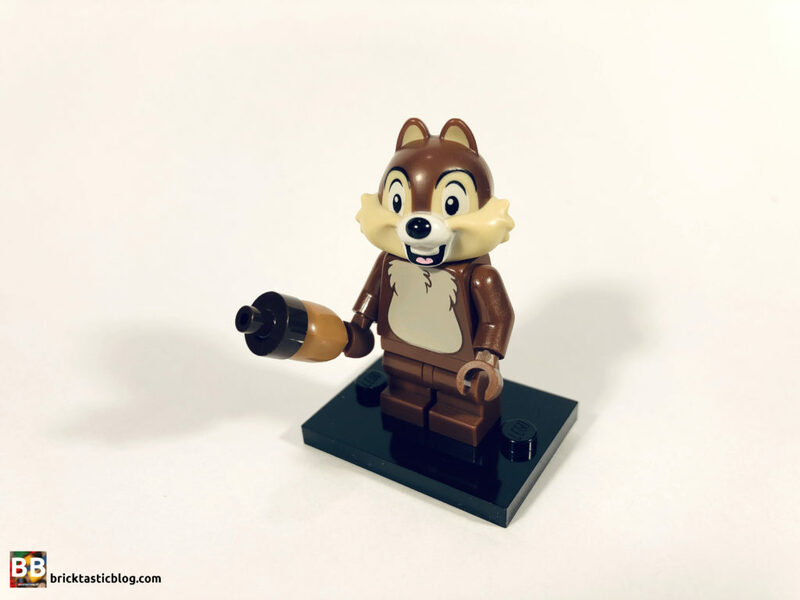 It’s a pity that Chip’s face fur (on his dual moulded head) doesn’t match the printed fur on his chest. Obviously it’s probably not easy to match coloured plastic to print. 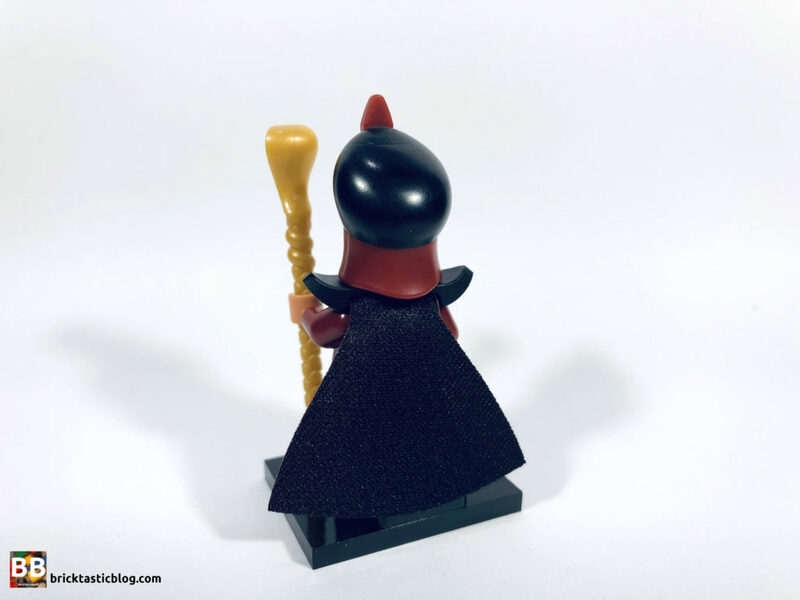 Chip carries an acorn, which cleverly uses a combination of a mandrake root (from the Harry Potter CMFs), and an inkwell element (round 1×1 tile with shaft) in dark brown. He’s got medium sized legs, and some excellent printing on his back, for his tail. Four Chips come in a box. Dale comes in medium dark flesh, with his torso and legs looking similar to Chip’s. The big difference with Dale is his head mould. Dale has scruffy fur on his head, a bigger, red nose, and buck teeth with a big gap. He’s got a sack with him, most likely for all of the acorns! Like Chip, there’s four of Dale in a box. Well these are going to be popular! 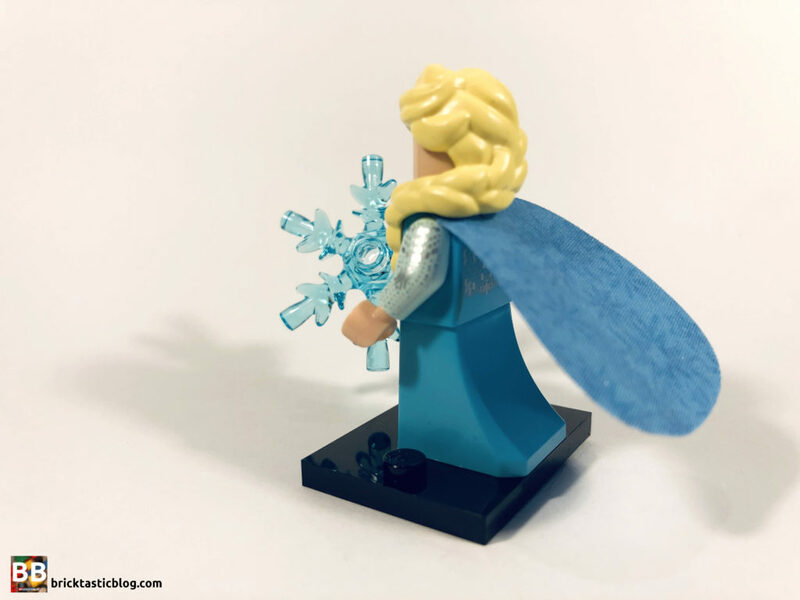 Frozen has taken the world by storm since 2013, and after seeing multiple sets with minidolls, LEGO has taken the next step and produced some stellar minifigures of the two main characters. 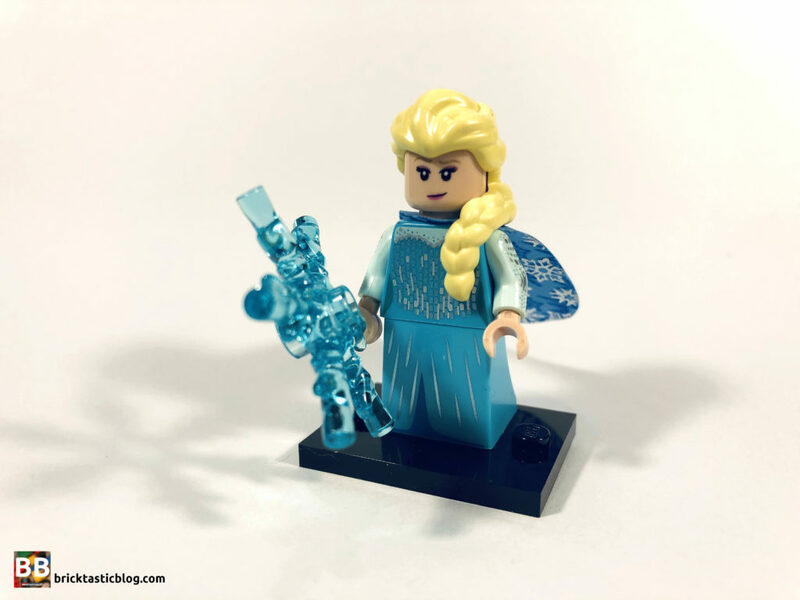 Elsa has a stunning medium azure dress on, with lots of sparkles and shimmers on it, and white arms, also with some detailed printing. A skirt element is at the bottom, and it’s finished off with a teardrop shaped cape. There’s blue and silver snowflakes on it, and while it’s a little stiff (due to one neck hole), it looks amazing. Elsa has a smirk and a winking expression, and her hair is rubbery, but beautiful, with the blonde braid over her left shoulder. She’s also carrying a large transparent blue snowflake. Four Elsas come in a box. 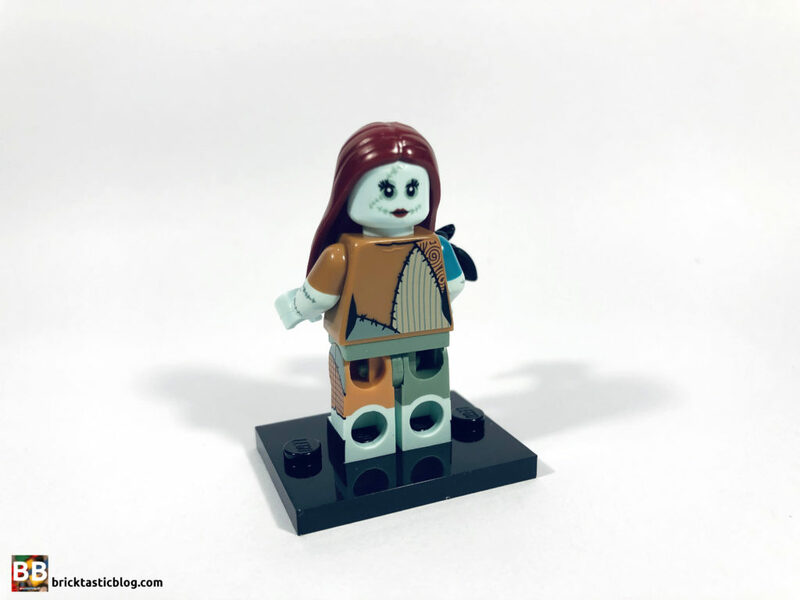 Anna is most likely the weaker minifigure of the two, but there are still some very strong elements in this minifigure. With a metallic gold and embroidered torso, and matching embroidered skirt element, it’s is finished off with a soft fabric cloak. 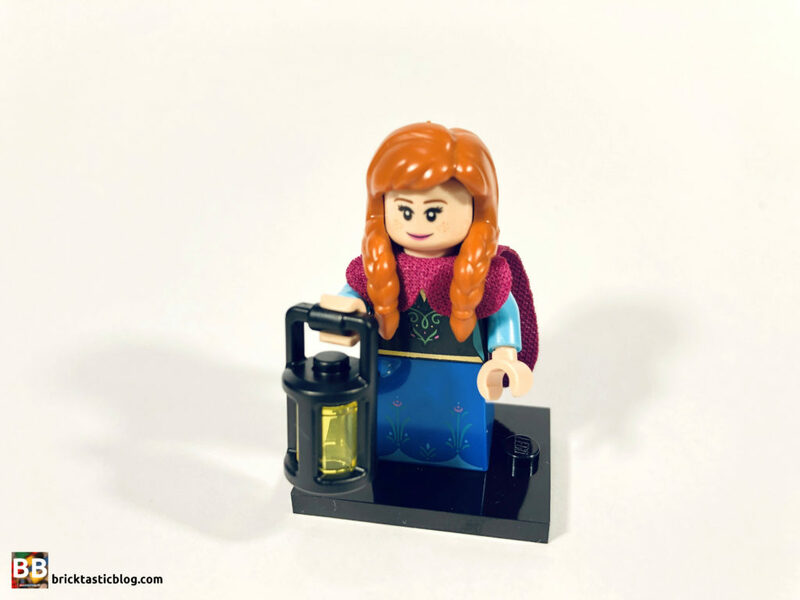 Her face has freckles, and like her sister, Anna has a soft rubber hair piece, but this time with two braids. Anna carries a Harry Potter lantern in black. Four of Anna are in a box. Way back in 1997, Disney released Hercules. It’s a great film, but it’s a surprising inclusion here. 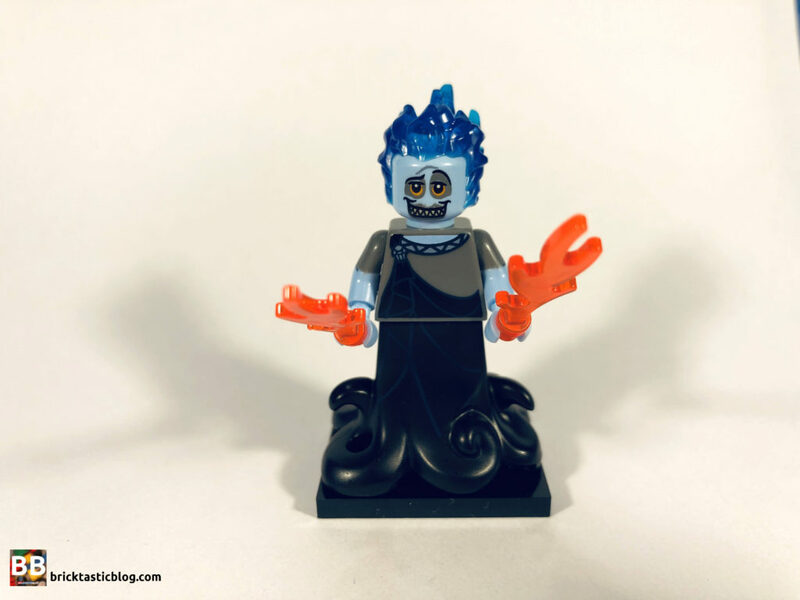 Hades is god of the underworld, and looks great, with his black toga and dual moulded arms, that flow down into a new leg element, complete with printing and tentacles. It looks awesome! He’s got a brilliant grin on his face, and is topped off with transparent blue flame hair. The only shame here is that his hair is permanently attached to his head! It’s the same element as Ghost Rider, and he had the same glue haired problem. 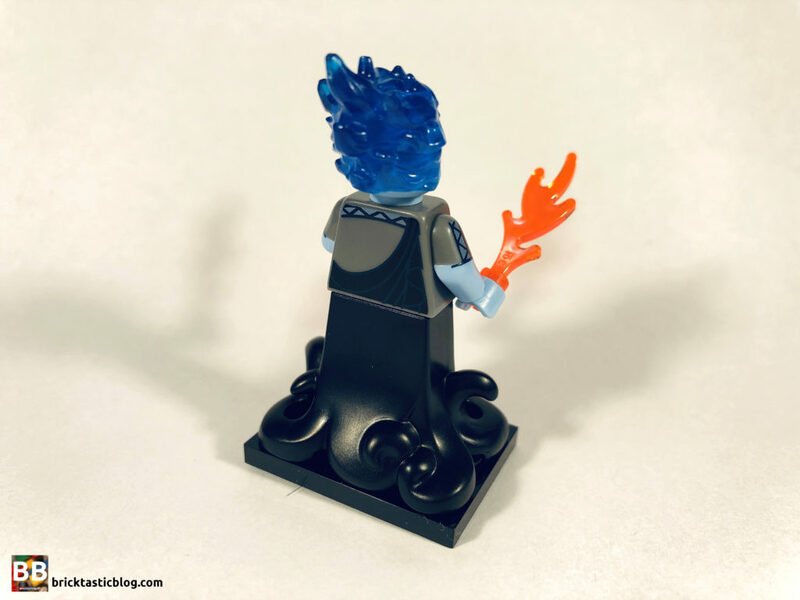 Hades holds regular LEGO flames, and there’s four of him in a box. To battle Hades, there’s our hero, Hercules. He’s rather orange! With his Greek armour on, the printing and dual moulded legs look excellent. 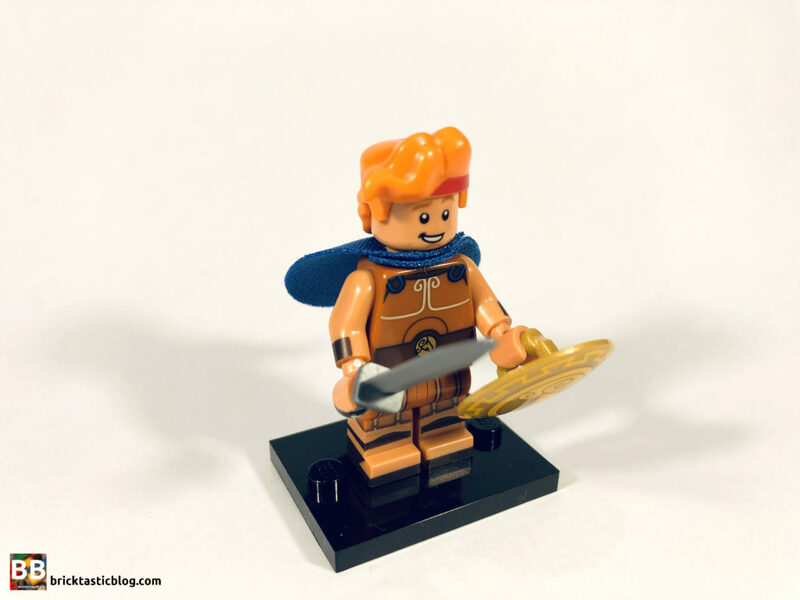 He’s carrying a sword and shield with cloud and lightning bolt on – perfect for the son of Zeus. His hair looks awesome, with a red printed head band and flowing locks, and his face has a smile and a determined grimace on the other side. He’s also got a blue fabric cape. There’s only three Hercules in a box. This was a great inclusion! We’ve had a full assortment of the Parr Family already, in the Incredibles 2 Juniors sets that I reviewed last year, so it’s great to get another character! 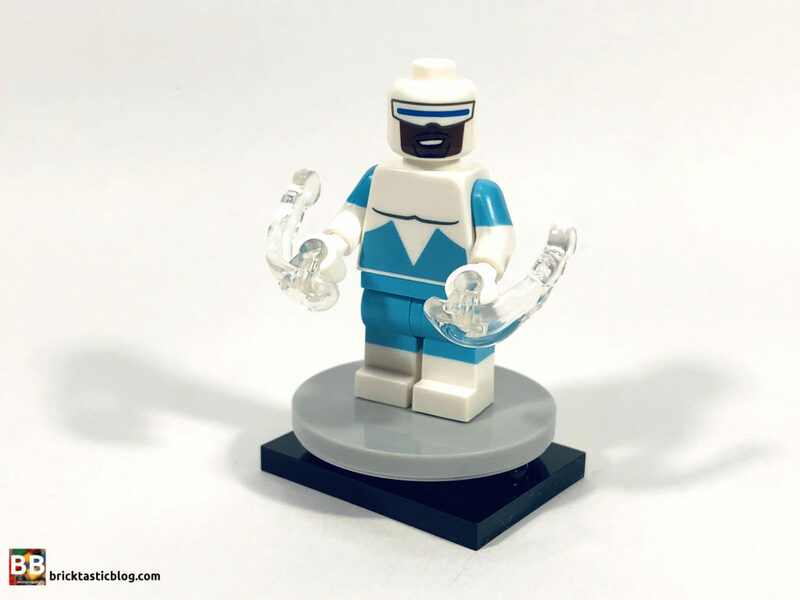 Frozone is wearing his super suit (he found it), covered in white and medium azure, and his head looks great printed with his mask. He’s got ice blasts in his hands and is riding his ski disk, which was a great inclusion. It’s got a white jumper plate on the bottom of it, so it looks like it’s floating off the stand. I think Frozone looks a little odd, as his head proportion isn’t matching the movie, but there’s not much you can do there! There’s four Frozones in a box. 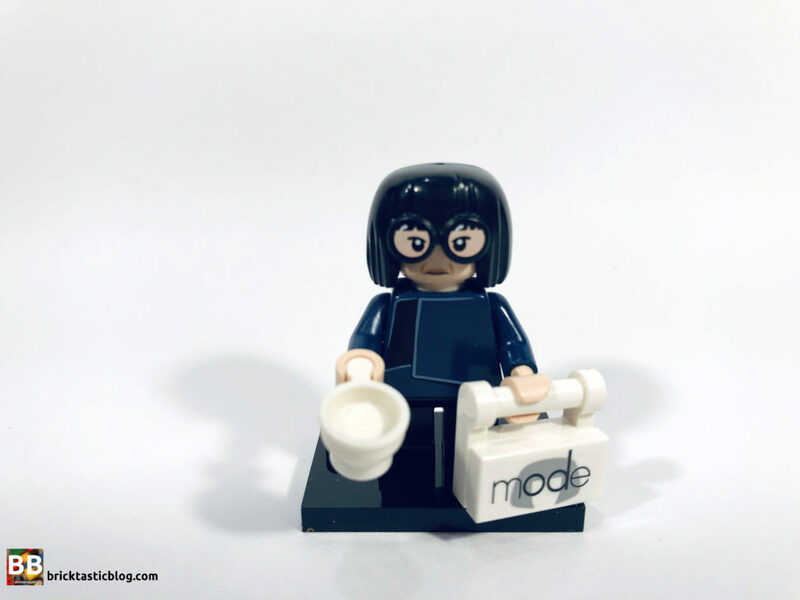 “No capes!” Hooray for Edna Mode! She’s got a rather striking dark blue top on, with very little printing, and short legs – perfect for Edna’s short stature. Her large hair and glasses are combined in a new element which looks excellent, and the eyes are printed on to the glasses, not unlike Robin’s design from The LEGO Batman Movie. There’s a double sided head underneath that hair, with smiling and stern faces, and she’s got a handbag with her logo printed on a 1×2 tile, and a white tea cup! You also get a second tea cup, which is brilliant. There’s three Ednas in a box, dahling. 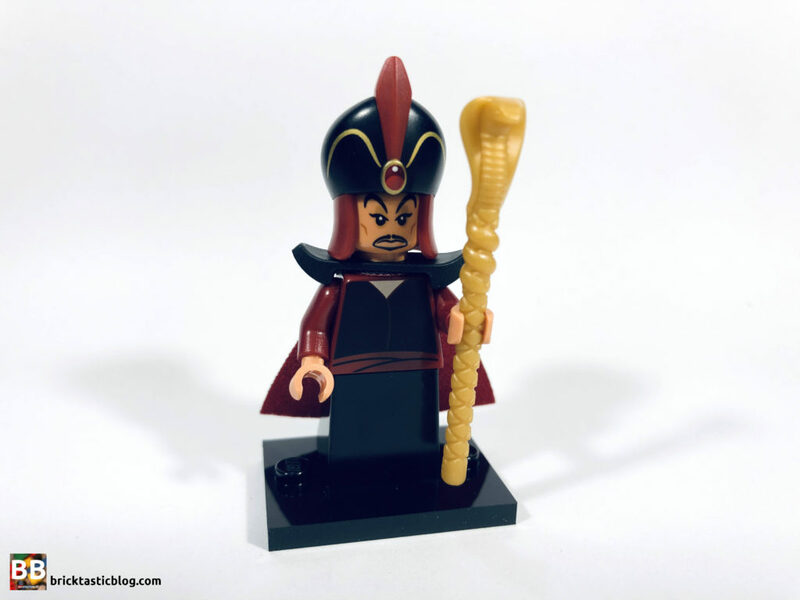 Jafar, the Grand Vizier of Agrabah from 1992’s Aladdin is amazing. He’s got a black and dark red printed torso, with a black dress element at the bottom. He has black shoulder plates that fit over his neck, which make him look more imposing, with a two toned fabric cape underneath. This cape is dark red on the inside, and black on the outside. It looks great. On top of his head is a phenomenal turban, with dual moulding, printing, and a little jewel at the front. It looks superb. It’s all finished off with a golden cobra staff, last seen way back in 2010’s CMFs Series 2 Pharaoh. There’s three Jafars in a box. 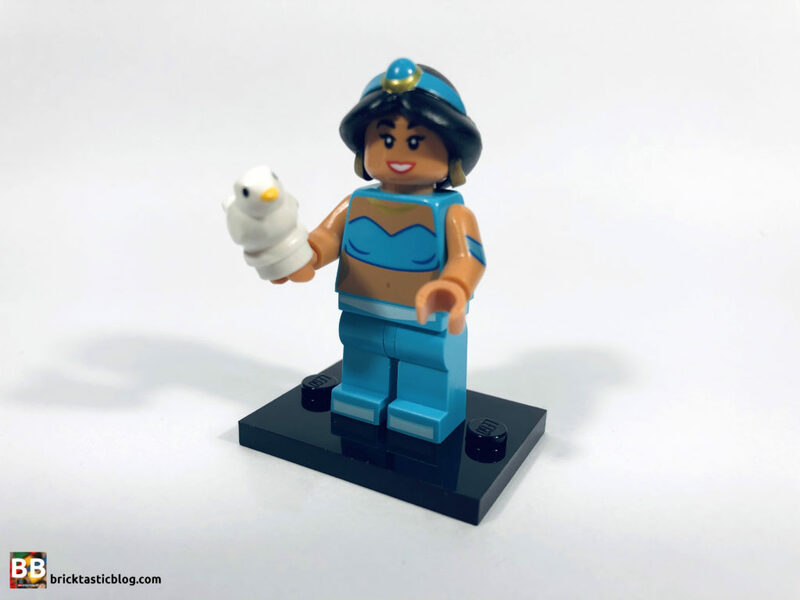 Jasmine has been seen in minidoll form before, but this is the first time as a minifigure, and she looks great! She’s got a medium azure torso and legs, with some printing on both, perfect for her character’s dress. She also has some printing on her arms, has a smile on her face, and has some amazing soft rubber hair, complete with her head band, earrings and hair bands. She’s got a pet bird in her hand, and there’s three of her in a box. 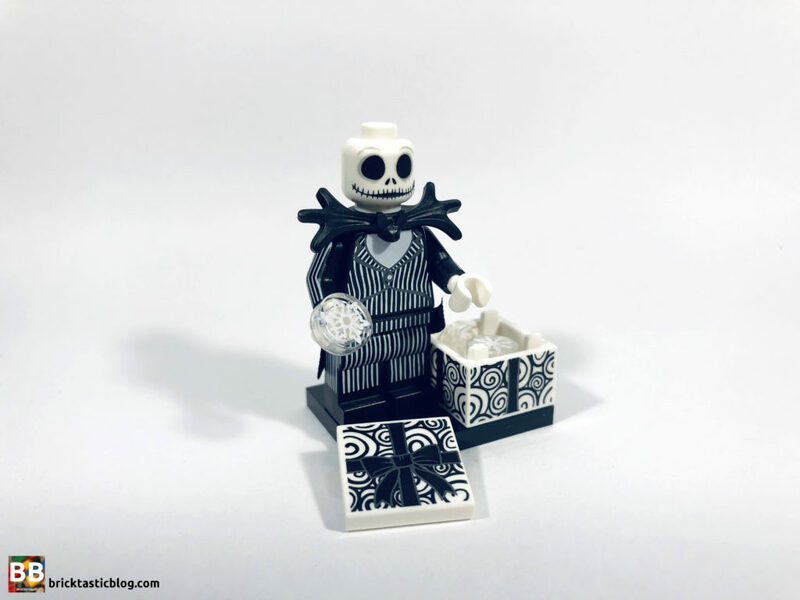 From 1993’s The Nightmare Before Christmas, Jack Skellington, otherwise known as the Pumpkin King of Halloween Town – a town where it’s always Halloween. 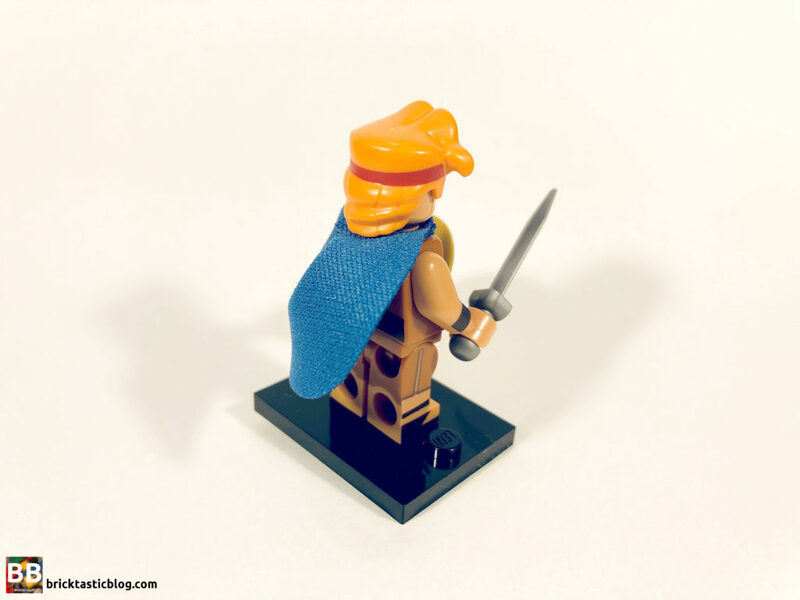 These last two minifigures have to be the best of the lot – they look phenomenal! Jack has his trademark pinstripe suit, with a crazy amount of printing on nearly every surface, as well as stiff fabric coat tails that wrap around his hips. He’s got an amazing bat bowtie, and some beautiful printing on his face. 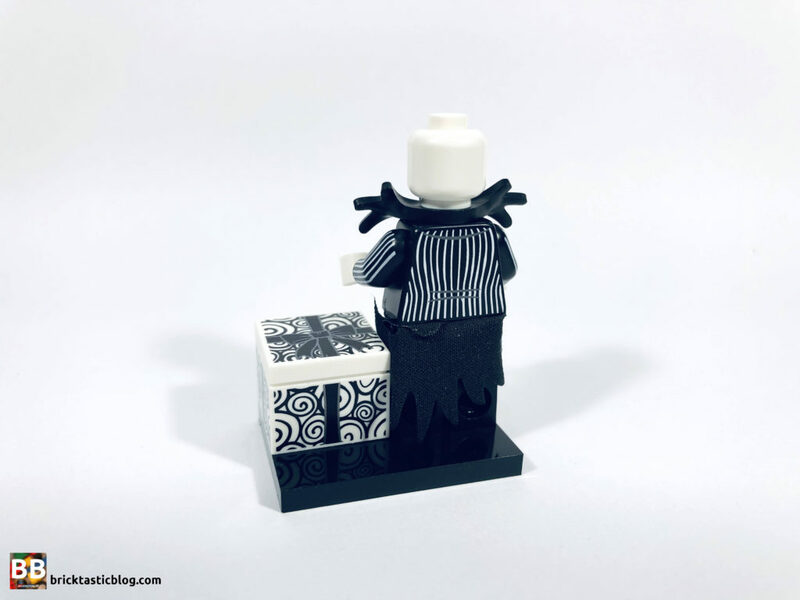 He brings with him a gift of snowflakes, wrapped up in a stunning black and white box. There’s two designs of snowflakes, with a spare of each as well. 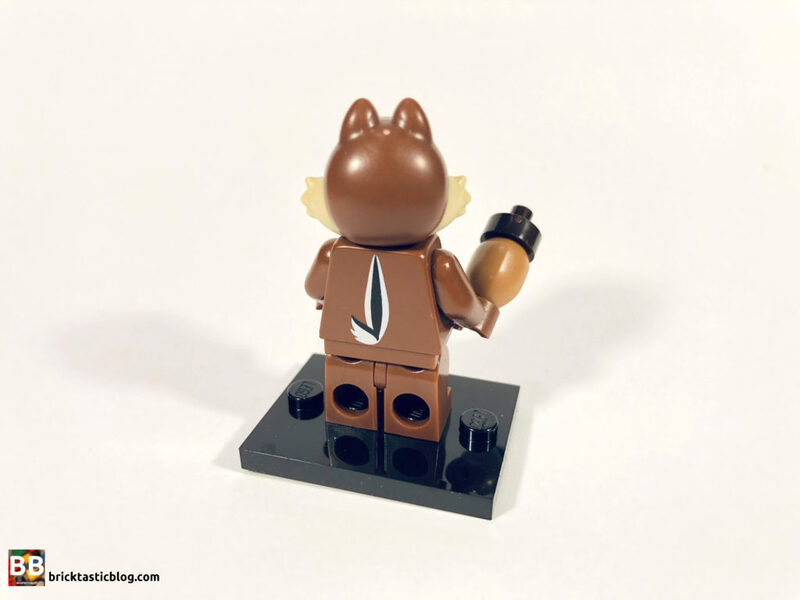 Man, this is a brilliant minifigure. There’s three Jacks in a box (har har). 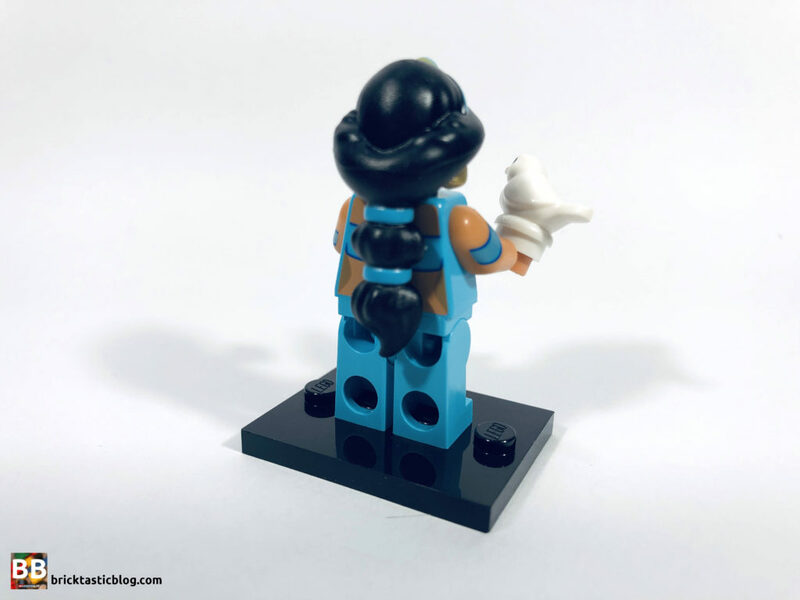 Lastly, there’s the standout minifigure of the lot – Sally. Sally is a ragdoll, and Jack’s love interest in the film. She’s got some incredible patchwork printing all over her, and has dual moulded arms and legs. There’s a mixture of light aqua, medium nougat and teal, with straight dark red hair, from hard plastic. Sally carries a black flower, made from a black mandrake stem, and black new flower. Both of these have spares. 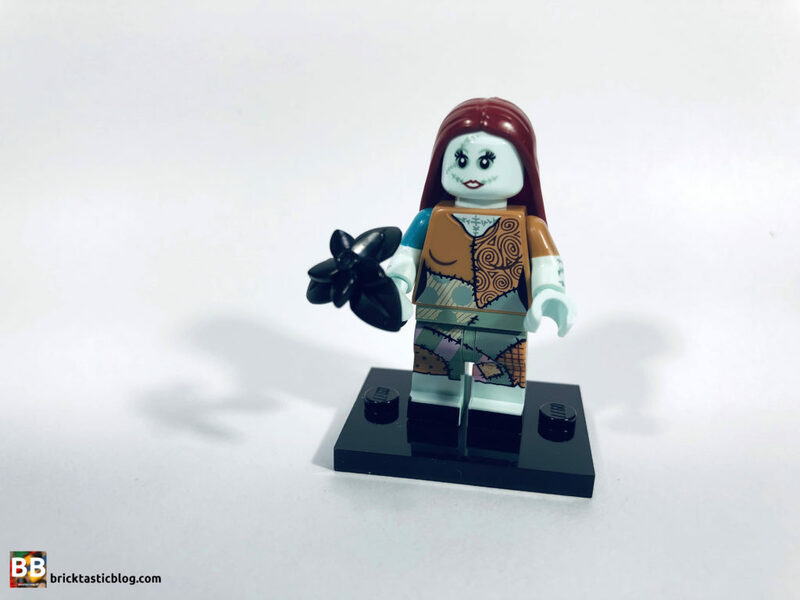 This could represent the flower she picks the petals off when she sees the vision of a ruined Christmas, or it could be deadly nightshade, the potion she slips into her creator, Dr Finkelstein’s drink to make him fall asleep so she can escape and see Jack. 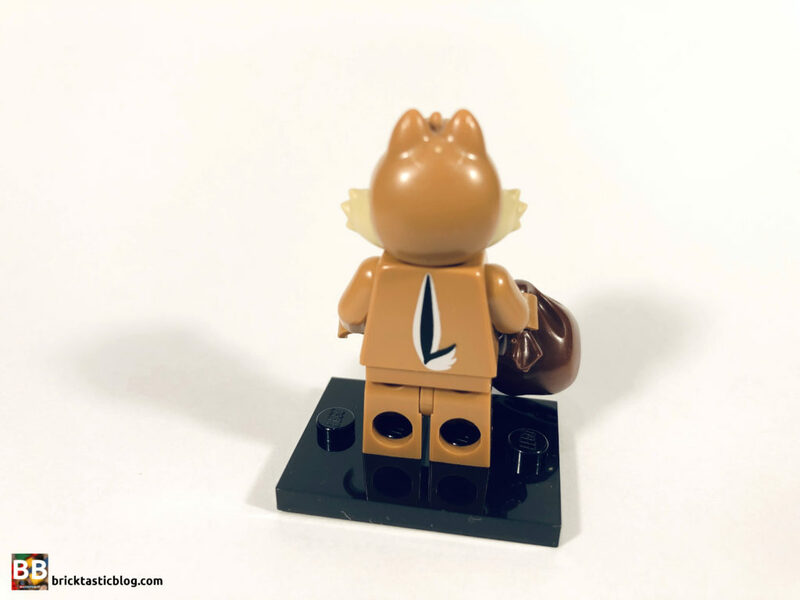 Either way, it’s an incredible minifigure, and my favourite of the series. Ok, that’s it! 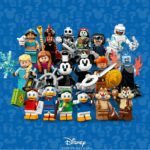 18 of the newest Disney minifigures. For the most part, they’re brilliant, and I can’t wait to see some MOCs with them included. 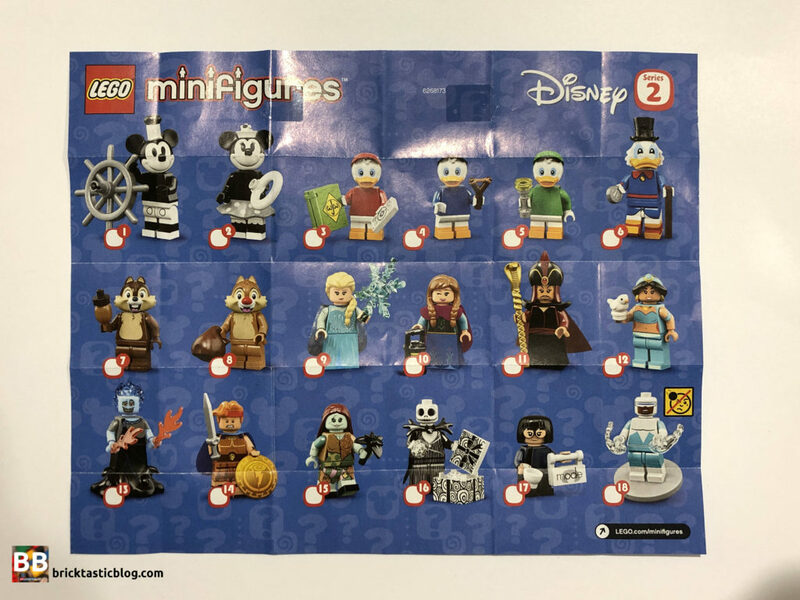 These will go crazy, given they’re Disney, and so I’m relatively sure these will result in a series 3 Disney CMFs. 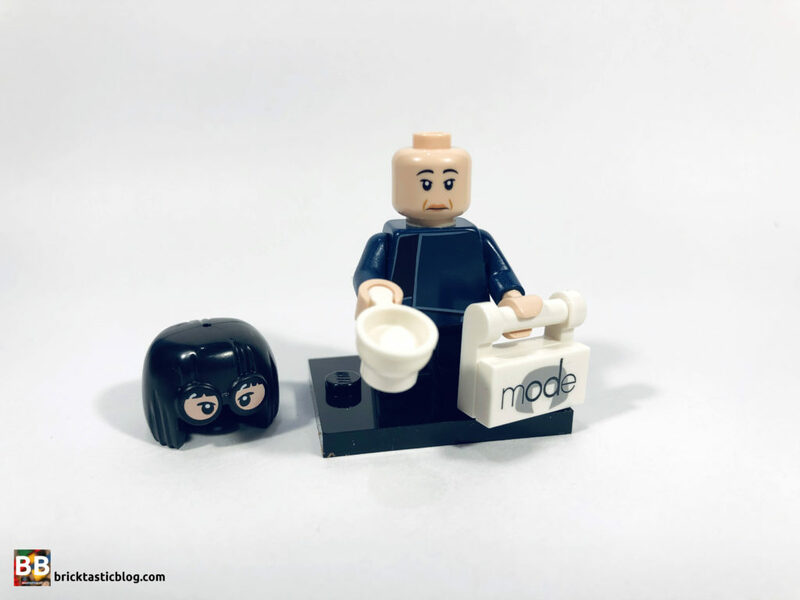 If you haven’t signed up for the chance to win a full set of 18 of these minifigures, you’d better get onto it! There’s a heap of entries coming in already. 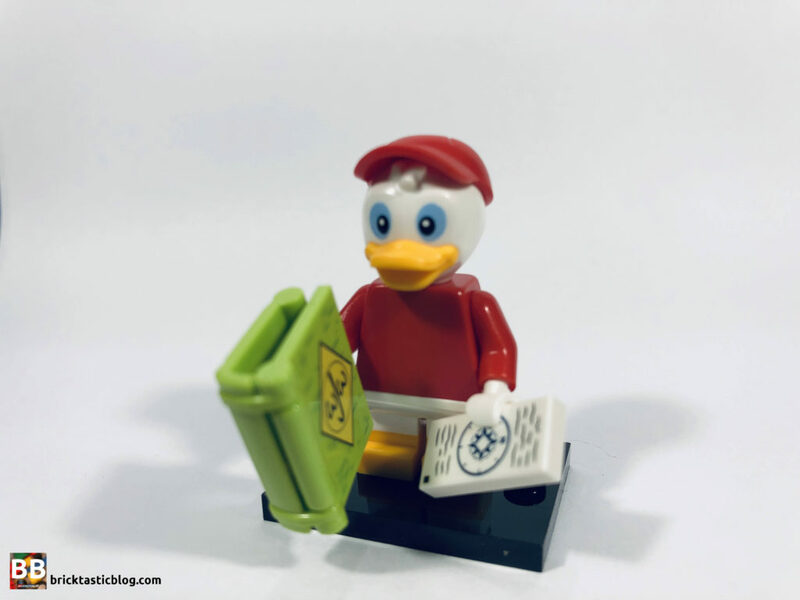 While you’re there, let me know what you’d like to see in possible new Disney CMF series. When the giveaway is drawn in a couple of weeks, I’ll publish the results to the question too. A special thank you to LEGO for sending me a full box to review. All thoughts on this series are my own and are not influenced in any way, shape or form. The provision of sets for review does not guarantee a favourable review.